Han State - Tiger Tortoise Need Help? Han doesn't follow trends, but does follow classic design principles. 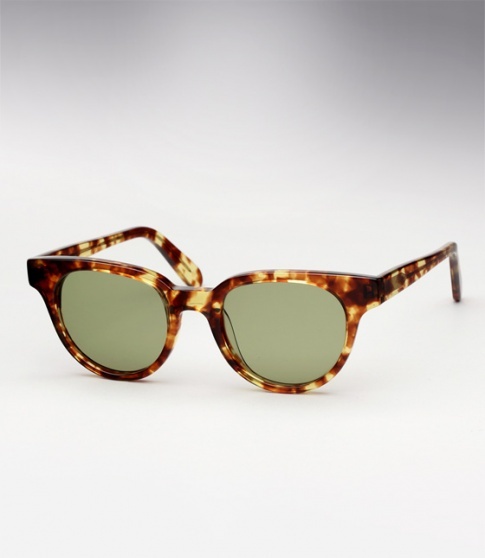 Han Kjobenhavn eyewear, simply called Han, was born May 1st 2008 in Copenhagen, Denmark. It was conceived with all the elements that form traditional Danish design: simplicity, quality craftsmanship, and originality. All hand made in Denmark, Han eyewear's foundation is built upon a timeless aesthetic with influences from decades and icons past. We're talking simple and classic designs, but aesthetically beautiful elements. As Han so perfectly phrases it "Classic isn't boring, but is a factor that can continue to inspire and relive itself over and over again".